The Boeing 767 is a medium-range twinjet and the narrowest widebody airliner in service. The airlines fly the Boeing 767 on medium-range flights with 200 to 300 seats on board. Boeing launched the 767 in 1978 after a thirty-aircraft order from United Airlines and developed the new jetliner during the same period as the narrowbody 757. Both aircraft types have many design features in common, like the two-crew digital flightdeck allowing a common pilot type-rating, and many systems. The Boeing 767 was first flown on 26 September 1981 and the first production aircraft was delivered to United Airlines in August 1982. United commenced commercial service with the type on 8 September 1982 on its Chicago to Denver service. The 767 was the main competitor of the Airbus A310. The main difference between the two airliners is the fuselage diameter. The 767 allows seven-abreast seating in the economy class (2-3-2) compared to the eight-abreast interior of the A310. The height of the cargo hold is the same for both aircraft, but because of the smaller diameter the 767-fuselage is not wide enough to accommodate LD3 containers pairwise in two rows. LD3-containers are interchangeable with the A300, DC-10, TriStar and 747. For the 767 Boeing designed the non-standard LD67 container, which has the same height and width as the LD3 but is shorter and offers less volume. A second difference between the A310 and the 767 is the wing. The A310 wing is as small as possible and fitted with many high-lift devices. The 767 has a much larger wing, even larger than the A300 has, with simpler high-lift devices. Boeing adopted a large wing because at the moment of launching the aircraft it had a heavier three-engined version in mind (then designated 777). The A310-wing was optimised for short-haul sectors in Europe and Boeing adapted its design to the US domestic market where airlines usually fly longer distances. The large wing was also intended to make the development of heavier and stretched versions easier. Extended range versions (ER) of the 767 have become very popular on long-haul services with limited passenger markets for which aircraft like the 747 and the DC-10 are too big. In 1994 the 767 became the most widely used airliner across the Atlantic with more transatlantic crossings than any other airplane type. The Boeing 767-200 is the first and standard version. 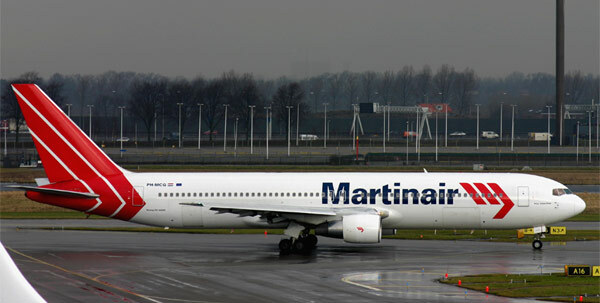 Boeing considered to build a shorter 767-100, but decided that this would come too close in capacity compared to the 757. The 767-200 seats 200-255 passengers, but a maximum of 275 seats is possible for charter airlines when extra overwing exits are installed. A subversion is the 767-200ER (Extended Range), which was first delivered to El Al in March 1984. Boeing stopped the production of the 767-200/-200ER airliners in 1994 but restarted building the 767-200ER in 1998 after an order from Continental Airlines for ten aircraft. A total of 249 767-200 and 767-200ER aircraft has been built. Boeing started developing the stretched 767-300 in February 1982. This version is 6.40 meter (21 ft 1 in) longer than the 767-200. Apart from the fuselage plugs forward and behind the wing, Boeing initially didn't change much compared to the 767-200. The first flight was on 30 January 1986 and Boeing delivered the first stretched aircraft to Japan Airlines on 25 September 1986. The extended range version (767-300ER) flew for the first time on 19 December 1986. Boeing launched the 767-300F cargo version in 1993 and delivered the first aircraft to United Parcel Service in October 1995. The 767-400ER is an even further stretched version. It is 6.43 m (21 ft 1 in) longer than the 767-300. The aircraft also has higher weights, a wing with increased span by highly-swept extensions and a new 46 cm higher landing gear. Flightdeck and cabin interior are mostly in 777-style. 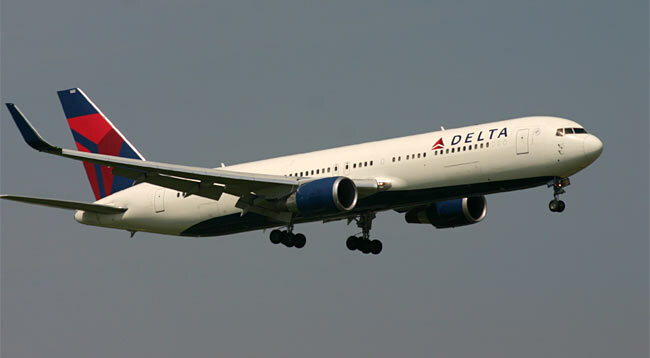 The first flight was on 9 October 1999 and the first operator of the 300-seat aircraft was Delta Air Lines. However, only two airlines (Delta and Continental) ordered the -400 and together they fly a total of only 37 aircraft. A version with more range, the 767-400ERX was ordered by Kenya Airways, but the airlines switched to the 777 and the -ERX wasn't built. Boeing offers the 767 as a military aerial tanker and transport aircraft, which has been ordered by Italy and Japan as KC-767. For Japan Boeing also developed an AWACS-version (Airborne Warning and Control System) with a large radar disk on top of the fuselage. To the United States Air Force (USAF) Boeing offered the KC-767 as a development of the 767-200ER including elements of the 767-300 and 767-400. It was intended as a replacement for the ageing Boeing KC-135 Stratotanker. At first the USAF selected the Airbus KC-30, which is based on the A330-200, but later the contest was reopened and in 2011 the order was rewarded to Boeing instead. Boeing has sold more than one thousand 767s. In the first years after the year 2000 sales dried up and the end of the production of the airliner seemed near. In 2007 there was a sudden revival of sales, including a big order from UPS for 27 767-300F freighters. The 767 line will keep running for many years to build aerial tanker aircraft. The 767's successor in Boeing's airliner catalogue is the 787 Dreamliner.